Here's your chance to do something REALLY nice for someone using your AmEx card that won't affect your monthly finance charge. 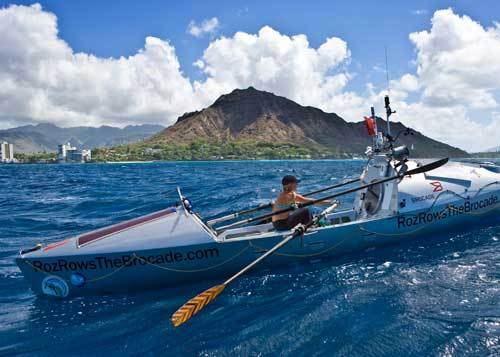 The indomitable Roz Savage, who just a month ago became the first woman to row solo from California to Hawaii, is in contention to receive a grant through American Express's Members Project Awards. 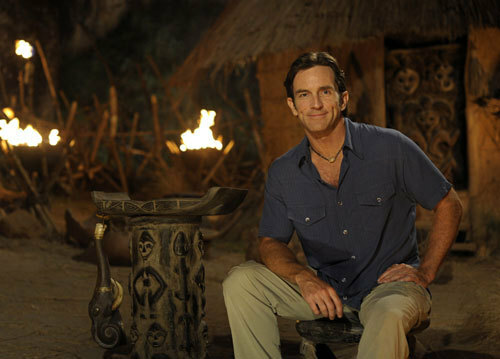 The contest will parse out $2.5 million to people who are making a positive impact on the world. And while it may pale compared to a $700 billion bailout, the $1.5 million grand prize could help Roz go a very long way...even all the way across the Pacific. On September 1, Roz completed the first leg of her three-stage challenge, a feat which will take her some 7,600 miles to Australia. Her primary objective is not the record, but to use her adventure to engage the public and create a perception that it is "Cool To Be Blue." She believes that we are all empowered as individuals to make a difference. While she makes no claims to be an environmental expert, as eco-adventurer she will raise awareness of the issues and communicate to her audience specific ways in which they can take positive action. "We are bombarded every day by so much bad news relating to environment that it is easy for individuals to feel overwhelmed, helpless and hopeless, as if nothing they can do will make a difference," notes Savage. "But I want to spread the message that each of us as individuals has the power to make positive changes in our lives that will accumulate into a tidal wave of change for the better. 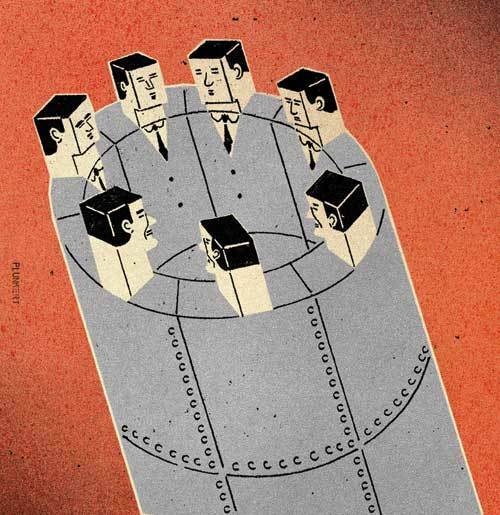 People might think that their contribution to the environment is just a drop in the ocean. But a drop spreads ripples. Each and every one of us has the power to make a world of difference--one stroke at a time." So we ask: Who better to get a piece of the purse than a self-made adventurer who quit her office job to row the world's great oceans and help make the Earth a bluer place? Ralph Burger, who ran A&P, dedicated himself to carrying on the company tradition, regardless of evidence that it was a doomed strategy. Editor's Note: Today we're launching a new weekly music column by Assistant Editor Ryan Bradley and in collaboration with National Geographic Music. Nat Geo Music has some amazing artists and projects that we love and will share with you. We at ADVENTURE believe that one of the best parts about travel is discovery, and bringing your discoveries back home with you, and music travels a lot better than food. We also believe that there is no such thing as world music, only good music that is from all over the world. TV on the Radio’s recently released third album, Dear Science, (comma included) is easily one of the best albums of the year and a pitch perfect record for troubling, chaotic times. Based out of Williamsburg, Brooklyn (aka Hipsville, U.S.A.), TV on the Radio are Tunde Adebimpe, Gerard Smith, Dave Sitek, Kyp Malone and Jaleel Bunton—artists, musicians, videographers—all creative types who are masters of sonic layering and triumphant vocal arrangements. For Dear Science, their third studio recording, the group tapped another Brooklyn institution, Antibalas, an Afrobeat band whose horns manage to take TV on the Radio’s danceable anthems to untold heights. Probably the best example (or, at least, the most immediately awesome track) is the song “Crying” (its chorus: Cryyy-ya-ya-ya-ingg, cryyy-ya-ya-ya-ing), which is about death and culture devoid of meaning and various other social maladies. It’s also so funky and fun that you might forget what they’re singing about altogether. Which is fine. This is also a perfect reason why the album is worth listening to, dancing to, and listening to, again and again and again. 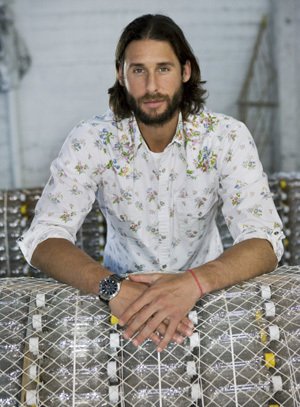 Our main objective has been to create a vessel constructed out of plastic bottles that not only performs in the water, but also showcases smart and innovative design solutions that re-think waste as a resource. However, from the day of this project's inception to the day we started construction of the boat, our team has been confronted with huge challenges to overcome. Our first major hurdle was figuring out how to maintain the integrity of the bottles. We did not want to simply melt down the plastic and re-mold it. The actual visible presence of bottles has been at the core of everything. Staying true to that idea has created an enormous learning curve, since water would actually flow through and around the bottles. This goes against the basic principle of boat building: keeping the water out. Here, we are letting all the water in. But things are now on track. We have tested the prototype out in San Francisco Bay. The good news is, it floats. The bad news is that it only sailed backwards! We still have quite a way to go. We are working with a number of experts in the boat-building field, including our onboard naval architect, to tackle these challenges and translate the initial conceptual design into a sailable vessel. Together we hope to create a vessel that will not only perform, but show how you can reuse waste as a resource using cradle-to-cradle philosophies. The vessel itself will tap a number of technologies that are pushing the boundaries within alternative energies. We have broken the design of the boat into different areas--waste, energy, water, and habitat--so you will see a real cross-section of technologies. Some are actually available in mainstream markets, while others that are currently being developed in laboratories. I want to keep a few surprises back, but let’s just say there will be an element of human composting involved. If you own one of Petzl's extremely popular Myo headlamps, do NOT use rechargeable batteries with it. There have been 13 cases of batteries overheating and sometimes bursting into flames (and two injuries), according to Petzl and the U.S. Consumer Product Safety Commission. The company says there are no issues with non-rechargeable batteries. Approximately 322,000 units have been sold. 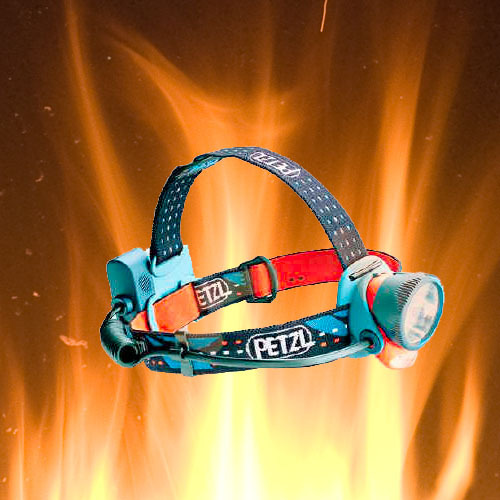 Petzl's recall hotline is 877-740-3826. Contact the CPSC at 800-638-2772. There's a new recipe for protecting the threatened African elephant: chili sauce. In recent years, African elephants have earned the nickname "the world's largest garden pest" by gobbling up to 300 pounds of crops in a single day (read ADVENTURE's award-winning feature about rogue elephants in Assam, India). So it's no surprise that the relationship between elephants and farmers is a bit rocky. 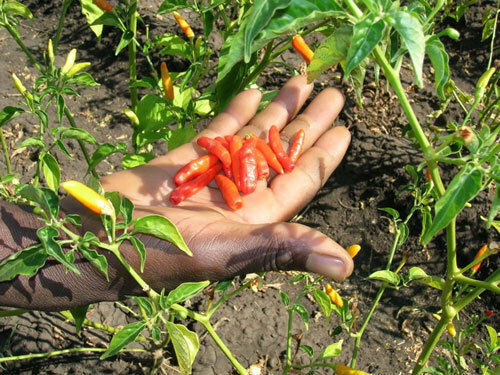 But now, an innovative chili pepper product may help reduce this conflict. Elephant Pepper, developed through the support of the Bronx Zoo-based Wildlife Conservation Society, allows farmers to grow peppers as a valuable cash crop without fear of elephant "raids." Apparently, elephants dislike capsaicin (the chemical that makes peppers taste hot) and turn up their trunks to peppers. It's a win-win. For those of you in New York City, check out any Food Emporium from September 19th through October 2nd for a taste (we sure will). "Now, U.S. markets and consumers can make a positive contribution to both elephants and those who live with them in Africa," said Dr. Loki Osborn, co-founder of Elephant Pepper Development Trust. Products for the chilli enthusiast, including Zambezi Red, Baobab Gold, Mozambique Masala and Zanzibar spice grinders, can also be ordered online. Sounds like a delicious way to help the planet to us.